Matushka Julia Petranin, 84, fell asleep in the Lord on Sunday, March 17, 2019 after a lengthy battle with Parkinson’s disease. Born in Slovakia, the daughter of Andrew and Anna Grodsky, she was the beloved wife of Archpriest Jozef Petranin, with whom she and their children fled Slovakia in April 1970 to escape religious persecution. They settled in Pittsfield, MA, devoting their lives to ministry at Saint Nicholas Church, of which Father Jozef served as Rector prior to his retirement. She was very active in the parish choir and numerous Church activities locally and elsewhere. She was also was employed by the Sheaffer-Eaton Paper Company for over 20 years. In addition to her husband of 60 years, she is survived by two children, daughter Nadja [John] Todorovic of Saratoga Springs, NY, and son Julian [Cynthia] of Merritt Island, FL , and her cherished grandchildren Joey and Lexie Petranin and Jason and Jax Todorovic. Visitation will begin at Saint Nicholas Church, Pittsfield, MA at 9:00 a.m. on Saturday, March 23. The Funeral Service will follow at 10:00 a.m. with interment in the Pittsfield Cemetery. A repast will follow at the parish rectory. 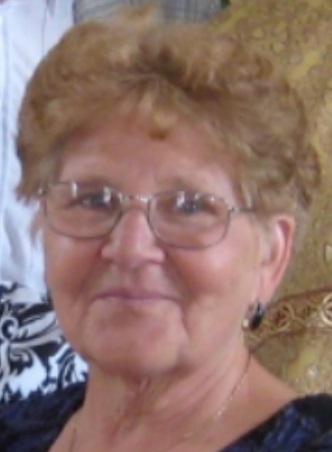 Donations in her memory may be made to Saint Nicholas Church, 1304 North Street, Pittsfield, MA 01201-1541. May Matushka Julia’s memory be eternal!